Students - Where did this poem come from? I am not the person to ask. Honestly, I don't know. I sat down to write, and it was there. I mostly enjoyed playing with the sounds on this one: twirled/trees, sigh/softly, lying/lines. There are many ways to play with sound in writing, and you can may have noticed how many times I repeated initial consonants within these lines. This technique is called alliteration, and if you read closely, you can find two more places where I used it! 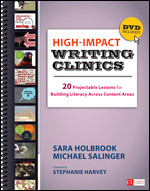 Today I am happy to tell you about a new poetry teaching resource (mentioned once before here) by poets and teachers Sara Holbrook and Michael Salinger. Well known and loved educators Sara and Michael offer us poems by a variety of poets as well as direct lessons in many poetic techniques. With the poems all ready to go, and slides illustrating each technique, this book/DVD set is not only smart and fun; it's rich and full too. This new resource is the result of a couple things. Sara and I are often asked for our PowerPoints after we present at teacher conferences or PD events. We always respectfully declined, because the slides would lack context – we use our graphics as mnemonic devices but without the accompanying explanation they just wouldn’t do the job. So we knew people liked our illustrative approach and thought it was fun. This new resource is a way for us to put together 20 lessons as slide presentations with all the teaching points included. Secondly, we have lately been doing more work with content area teachers outside of the language arts classroom. More and more we are finding that STEM teachers are being asked to include literacy instruction in their lessons. We think these presentations and the accompanying teaching suggestions will be a nice little tool for teachers in all content areas. We’re really excited to be able to offer this resource and we are thrilled that Corwin recognized the value of presenting these 20 literacy lessons as projectable heads up learning opportunities. So, there you have it! A way to invite the spirit and knowledge of Sara and Michael into your classroom...and incorporate technology too. Today Keri is hosting today's Poetry Friday fiesta at Keri Recommends. Visit her place to read the poetry offerings and to wish her a Happy Birthday! The idea of a paper airplane thrown into snow reminds me of making a paper boat & setting it down a stream, Amy. They're both off in their own little worlds, but connect to us as them, as you wrote in your poem. I like the idea of 'flying all by itself'. LOVE the new look of the blog, Amy! 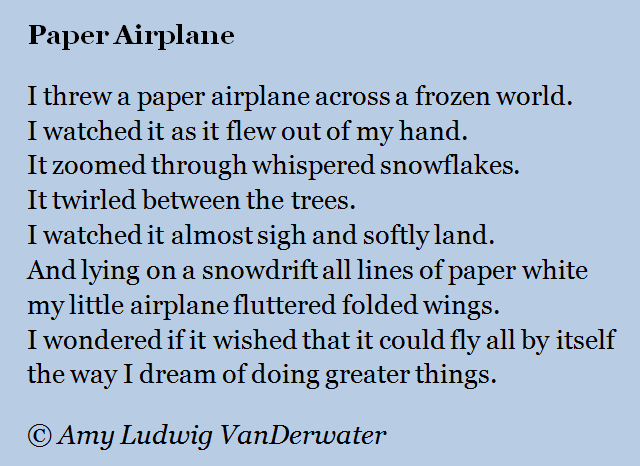 Paper airplanes zooming through snow - lovely poem. There's something solitary and wishful in its flight. Now, to check out this new book - sounds wonderful! Lovely new farm, Amy! As usual, your poem delights. Your blog looks amazing! So beautiful - well done to you and the designer. And your poem is delightful. I have been writing a descriptive story about a summer storm in which the child asks all these "I wonder" questions. They are such a great place to start and end a poem. Lovely as always. 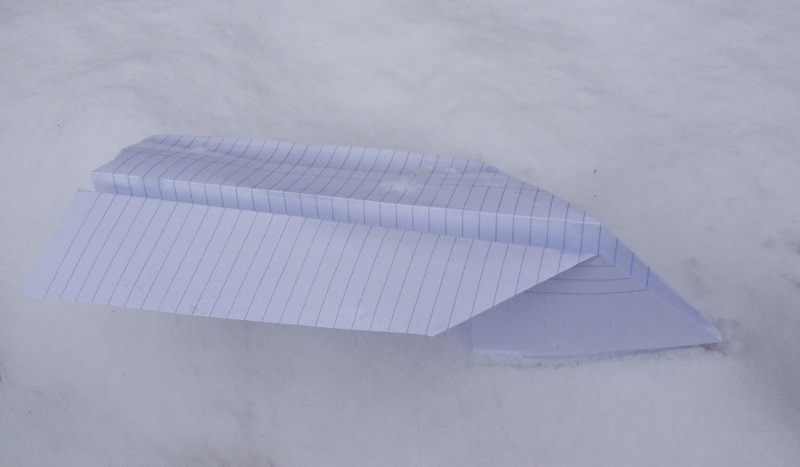 What a cool image: paper airplane on snow. And what a nice look for your blog. Such a nice new look! And a delightful poem.